Situated 12km outside of Chiang Mai, Doi Suthep is a mountain that stands at over 5400 feet. 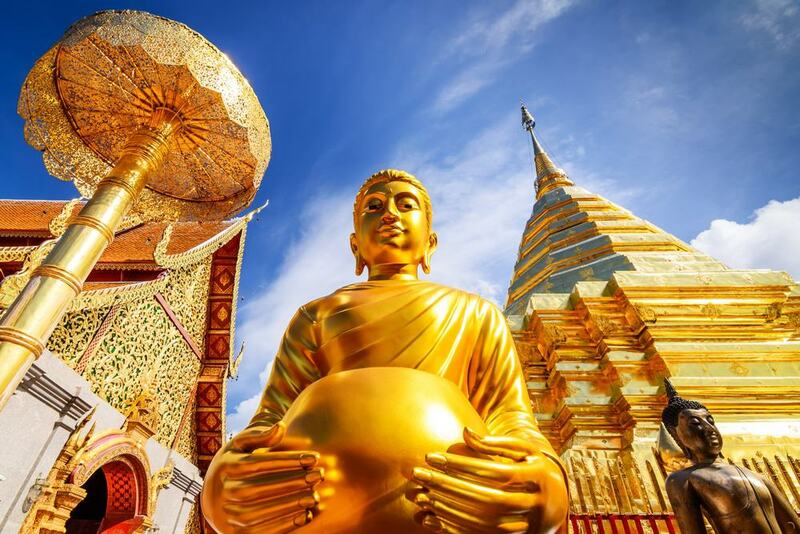 The reason most people travel to Doi Suthep is to see two things, firstly the view over all of Chiang Mai which is staggering and worth the journey on its own, but also to visit Wat Phra That Doi Suthep which is a temple dating back to the 13th century. At the temple there is a large white elephant shrine which has a whole story about it which you can learn about whilst at the temple. There are many steps to climb on the mountain as well as the opportunity to take a tram, expect to spend a whole day on the mountain checking out the various things to see.